CRIME, GUNS, AND VIDEOTAPE: More Americans Rejecting Gun Control Than Ever! Atlanta, GA-In 2001 54% of polled Americans supported more restrictive gun laws and bans. The number has been dropping steadily ever since. More recently the percentage of gun control supporters is at only 39%. This is according to a new CNN/Opinion Research Corporation poll. I’d like to think I know the reason for the changing attitude. The public has witnessed laws against carrying concealed weapons relaxing across the country. As hundreds of thousands of right to carry permits have been issued the permit holders have not been misusing their guns. Of course the criminals who are barred from possessing guns at all are still doing what they do, using guns in crimes. The second area is the unfiltered Internet that has unlocked the information and given gun rights advocates a voice they have effectively used to educate others about the facts and politics of gun bans that only work well against the law-abiding. Law enforcement officer’s attitudes on gun rights have also significantly improved. 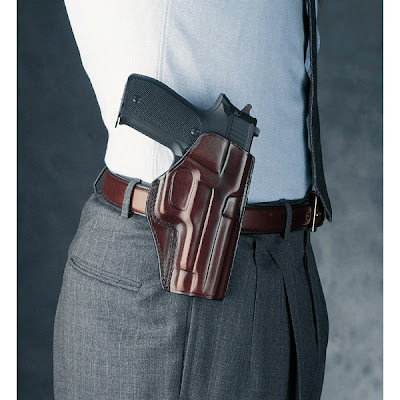 In recent years the cops on the street that have learned that right to carry permit holders are trustworthy. Slowly,more and more citizens are realizing that 911/police cannot truly protect themselves. The police cannot be everywhere,they are understaffed,overworked. Americans need to rekindle that pioneer spirit and start taking care of themselves instead of the Nanny State mentality.